Tulips and hydrangea lovers, don't miss this one. Colors are simple but elegant. 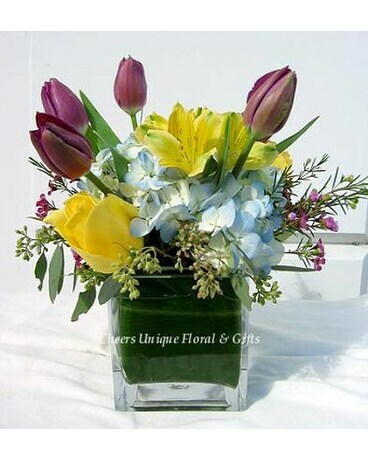 Arrangement is in a square vase with a ti leave wrapped around the vase for better presentation. (Flowers and vase may not be exact and subject to availability. Substitution will be made if necessary).